November 11th, marks Single's Day in China (11.11- all the numbers are 1!). Shops are having incredible sales for 24 hours in order to celebrate this unofficial holiday. You definitely shouldn't miss this great shopping event! 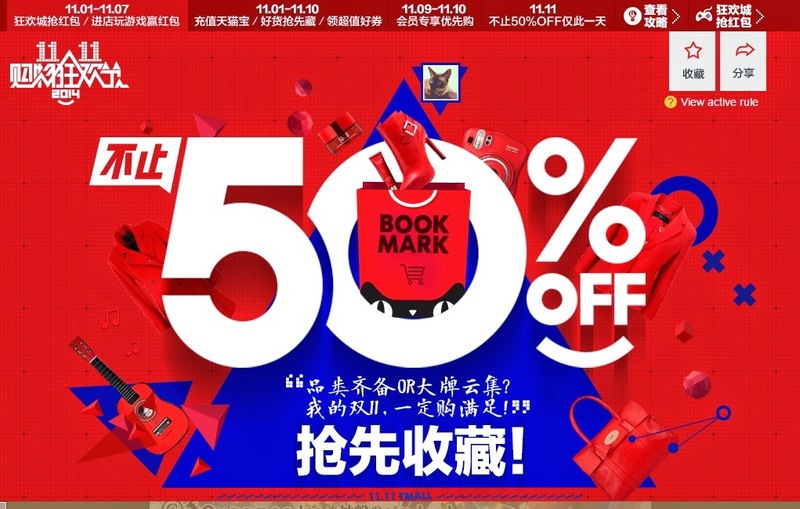 Aside from Tmall, many Taobao shops are also hosting big sales. My sis and I shop. They sell Katie, Fint, Candy Stripper and other Japanese replica brands. Xiaoxiang bags (Elephant bags) The shop features super cute original design handbags. Mimius Korean style cute fashion. Click over to the 11.11 taobao sale page and you'll see several items that have highlighted, or you can use the side bar to see more sale items in a specific genre. 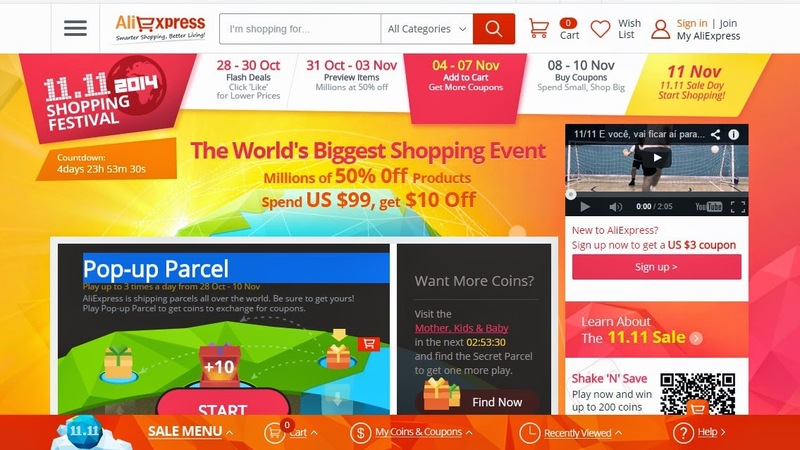 If you don't live in China and can't access Tmall or Taobao shops, Aliexpress (known for having many of the items seen on Taobao), is also celebrating 11.11. And don't worry, they ship internationally! I've already purchased a lucky pack from Liz Lisa and have added several Uniqlo items to my shopping cart. What's on your wish list? Let me know in the comments below!